The book group met on January 8th to discuss the books we had read in December and catch-up after the festive period. We also celebrated the birthday of one of our group. 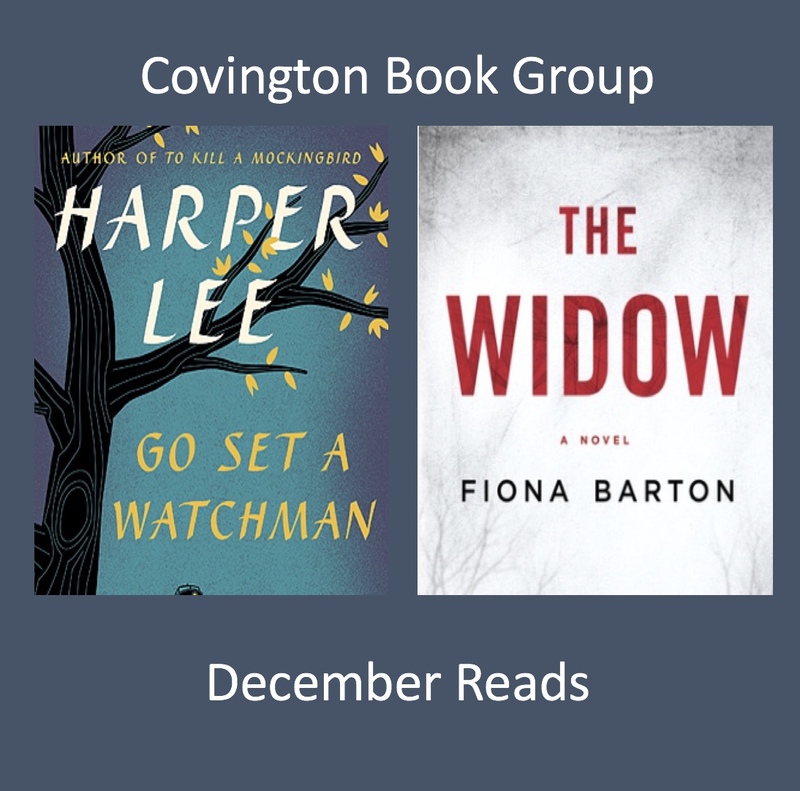 The books we discussed were ‘Go set a watchman’ by Harper Lee and ‘The Widow’ by Fiona Barton. The Widow was generally well received by the group, most of whom had red the book and enjoyed it. It was felt to be a light, easy and interesting read which was cleverly written. The set up of a number of clever leads keep the reader thinking and un certain of who had ‘done it’. The group agreed that the author’s journalism background shone through creating a genuine page turner. The Widow is Fine Barton’s first book and the group agreed that they would be interested in reader her work again if she did in the future publish subsequent books. Go set a watchman was discussed largely in reference to it’s relationship to the more famous To kill a mockingbird. The group discussed the fact that Go set a watchman had in reality been written before To kill a mockingbird despite the reverse order in their publication with such a significant gap between the publication dates. We also discussed the theory that Harper Lee had not really wanted Go set a watchman to be published as she felt it was not a work of such merit as To kill a mockingbird. Go set a watchman was felt to be well written and well observed but it is fair to say it divided the group. Those of the group who had read To kill a mockingbird previously felt that it offered more humour then the prequel albeit it was also significantly more overtly moralistic.